We offer an exceptional place to stay in New Hampshire. Join us at our Ashland, NH area hotel for an unforgettable getaway. 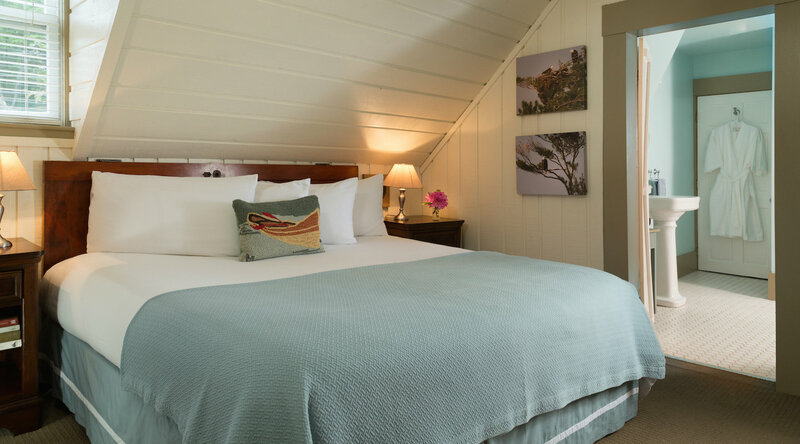 This upstairs deluxe room with king bed offers a cozy seating area and luxurious bathroom. Decorated in nature inspired colors, this room will wrap you in comfort. 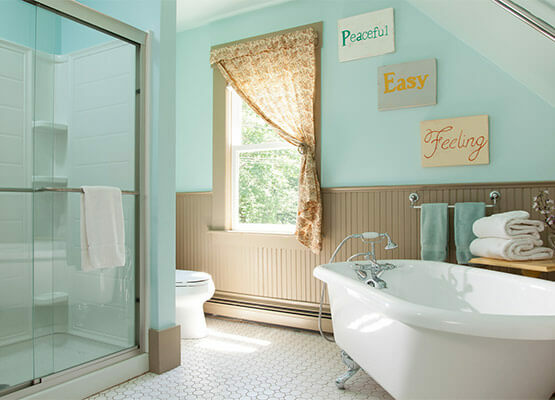 This room features a private bath with claw foot bathtub, shower, flat panel TV, and air conditioning. View our New Hampshire vacation packages and book your vacation today.